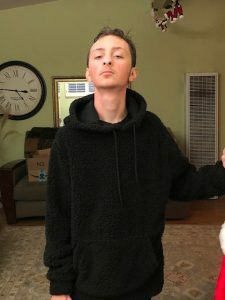 Holiday Gift Suggestions for the Family! The holidays are here and time for shopping! 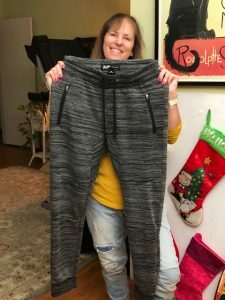 Here are some of my favorite gift suggestions! Looking for a Family Friendly Card Game? Engaging in meaningful conversations with children has become increasingly difficult in today’s online world. Luckily, Vertellis has introduced a new edition to their popular card games for parents and their children over 8-years-old that re-enforces meaningful conversation and kindness. I love how this game promotes kindness and it’s also great to take along on trips! Prompted by questions, points are earned by starting and engaging in meaningful conversations. It’s a fun, interactive way to bring the family together. Vertellis is Dutch and translates as “tell me more”. 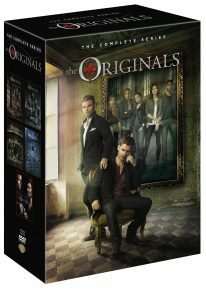 The game retails for $19.99 and available on their website and Amazon. Here’s a great gift idea for kids! 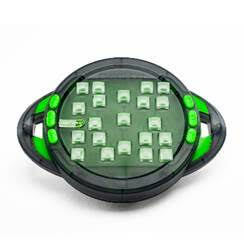 New BrainBoltT Toy Can Help Sharpen Memory- Great Gift/Stocking Stuffer for Kids of all Ages! Looking for a great gift idea for the creative ones on your list? Bring your imagination to the table and get in the spirit of crafting some fun. 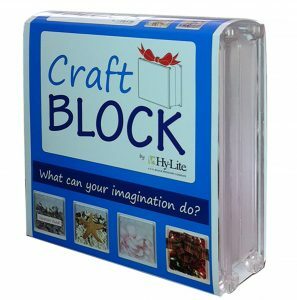 Hy-Lite® offers durable acrylic block Craft Blocks for both children and adults to create imaginative, unique gifts and decorations. Each Craft Block comes in a standard eight-inch by eight-inch square size and is three-inches wide. The blocks are fitted with a one-and-one-half-inch sized access holes and have a reusable rubber seal, making it easy to add items inside the Craft Block. Easy to handle and transport, the long-lasting acrylic blocks are sold both individually ($15 each) and by the case (at $225 for 24 blocks) online and are offered with free shipping. The lightweight clear wave acrylic blocks are made in the U.S.A. and offer a safe, break-resistant way to create projects for all ages. These are great for making gifts such as memory boxes! Have a Harry Potter Fan on your shopping list? These games from Goliath Games/Pressman Toy Company are sure to be a hit! Calling all Wizards! 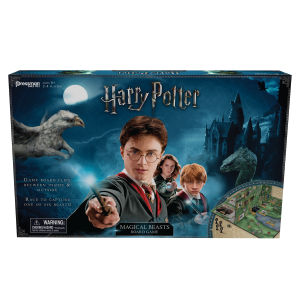 Magical beasts have broken loose at Hogwarts in Harry Potter and the Magical Beasts Game. 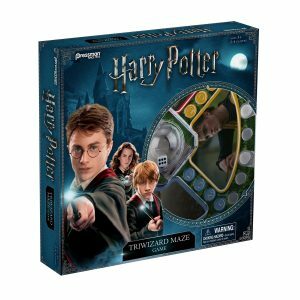 In this action-packed game, players collect clues and track down magical beasts both in and out of Hogwarts by traveling through magical portals. The dynamic swinging game board adds excitement that leads to hours of fun. Designed for 2 to 4 players, ages 8 and up. Muggles and wizards alike will be enchanted by Harry Potter and the Tri-Wizard Maze! This Tri-Wizard challenge features fast-action Pop’N’Race play as players race around the Tri-Wizard Maze to capture the Tri-Wizard Cup. Designed for 2 to 4 players, ages 5 and up. 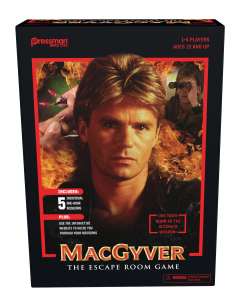 Another great game from this company is MacGyver™ The Escape Room Game In A Box! Players will need to work together and use the tools at hand to solve puzzles and diffuse bombs. Think outside of the box, as you discover secret codes, take on high-risk missions, and face off against a familiar foe. This one is great for ages 12+. DVD’s often make great gifts! They are also perfect for stocking stuffers! This next one is great for younger children! The best-selling, perennial holiday classic, How the Grinch Stole Christmas! 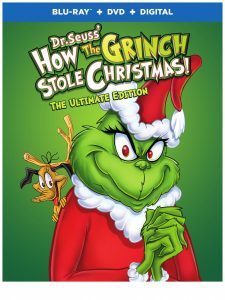 : The Ultimate Edition, got even better with the addition of two Grinch specials, which are available in high definition for the first time ever! Magnificently narrated by Boris Karloff (Frankenstein, The Mummy) and directed by animation genius and cartoon legend Chuck Jones (Looney Tunes, What’s Opera, Doc? ), How the Grinch Stole Christmas! tells the story of the miserable Grinch, who wants to sabotage Christmas for all the Whos in Who-ville. This release also includes The Grinch Grinches the Cat in the Hat and Halloween is Grinch Night. Available now on Blu-ray™ Combo Pack, which includes a Blu-ray™, DVD and digital copy for $24.98 SRP, and standard definition for $19.98 SRP. New “Plug & Play” Retro Gaming Systems will be a hit with your kids (and adults) who love video games! These “plug & play” products include an HDMI dongle and wireless controller bundles and feature eight to 20 classic videogame titles per model. These new hardware products are now available at major U.S. and Canadian retailers and retail for between $19.99 and $39.99. The Blast! family includes the Atari Flashback Blast! Vol. 1, Atari Flashback Blast! Vol. 2, Activision Flashback Blast!, Legends Flashback Blast! 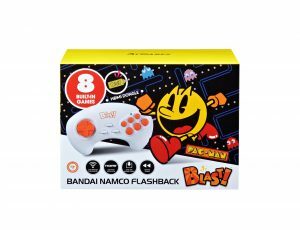 and Bandai Namco Flashback Blast!, all of which come with a USB-powered HDMI dongle that plugs directly into the TV and an ergonomic six-button wireless gamepad. The Atari Flashback Blast! Vol. 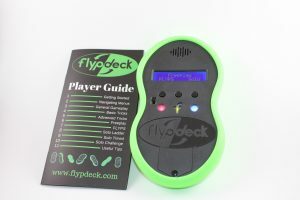 3 swaps the wireless gamepad for a pair of wireless game paddles, which are specially optimized for its selection of classic paddle and ball games. Games featured include Centipede, Millipede, Yar’s Revenge, Asteroids, Missile Command, Pitfall, River Raid, Space Invaders, Pac-Man, Galaga and Dig Dug. Have an adult who loved these games in the 80’s? They will absolutely love this as a gift! Have a college student on your shopping list? I think they will absolutely love the newest bag collection by Solo New York! Inspired by the NYC hustle, the Nomad Collection has two bags in the line with a new TSA approved design– a full unzip so the bag lays flat to avoid having to remove laptops in most airport screening areas – allowing for an easier flow through airport security lines. 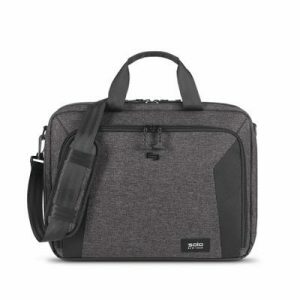 I absolutely love the Route Slim Briefcase! It’s just perfect to travel with my laptop! Little girls will just love this next one! Adora knows details, they started out about 20 years ago as a collectible doll company with popular 20” toddler play dolls that focused on realistic features and beautiful designs. Since then, they’ve expanded to include smaller baby dolls, accessories, strollers, plush toys, and even more diverse dolls with different ethnicities, boy dolls, and gender neutral designs. Thoughtfully crafted to give parents peace of mind, Adora toys are playful, creative, durable and most of all – Made for Play! If you are looking for dolls this is the company to check out. I love that they have dolls for even the youngest of babies and toddlers. Here’s another fantastic DIY gift idea for the creative types on your list! 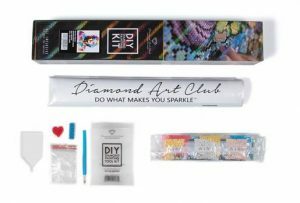 DIAMOND ART CLUB: The new hot hobby & DIY handcraft! 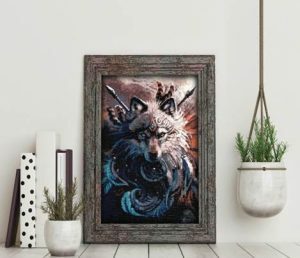 This new addictive DIY handcraft is like a modern version of cross-stitch, where crafters can select their favorite exclusive artist designs on DiamondArtClub.com, and create them at home into a sparkling mosaic using the *Diamond Art Club toolkit. Crafters of all ages can channel their inner artist in this new addictive and meditative craft – whether you’re a seasoned DIY enthusiast, creative mom, retiree looking for a new hobby, or a teen that needs a distraction from their phone! I love that they have a wide range of collections to choose from and this is also great for teenagers! And if you are looking to buy a Cookie decorating kit this holiday? 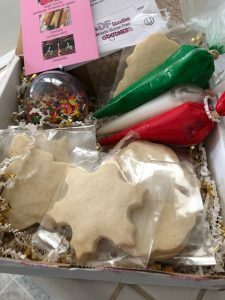 Allie’s Gluten–Free Goodies is a site to check out! I love this kit because the cookies are all ready to decorate and the frosting is already made so it really can’t get any easier! I had fun decorating with one of my youngest of reviewers! This kit came with Snowflakes, Trees and even Snowmen! 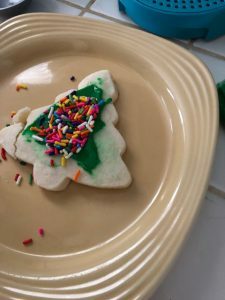 I really liked how it also came with frosting and sprinkles! For a complete list of all her goodies check out her website. www.alliesgfg.com or call for special orders. This next one is a great gift for busy Moms (or Dads) on the go! 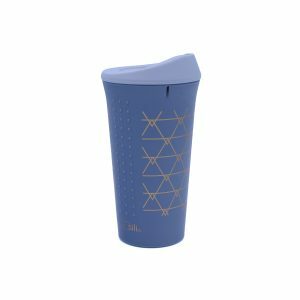 The Travel Mug by GoSili is sure to be a hit! I love how this keeps my coffee warm for a long time! It is available in three colors and costs $14.99. You can find it here! Here’s another great gift idea for kids! I love this fast-paced game! This is fun for all ages! 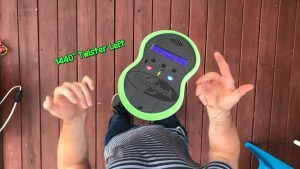 It’s a fun flipping game that can also be played solo. I really like that Teens and adults will love this one! There are basic and advanced tricks and I haven’t quite got the advanced ones down yet! 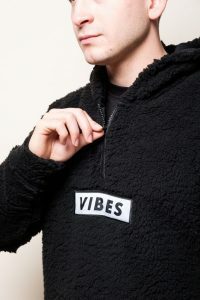 Looking for some stylish and comfortable clothing for the Boys and Men in your life? Brooklyn Cloth sells street-inspired men’s and boy’s tees, hoodies, joggers, denim jackets and windbreakers that are sure to be a hit this holiday! Brooklyn Cloth currently retails with Amazon, Urban Outfitters, Target, Pacsun, Belk and Tilly’s among many others. The company is a lifestyle brand that is inspired by east coast surf and skate scenes. Designed for the streets, by the streets, Brooklyn Cloth’s product development team closely mirrors the demographics of its audience. The products are versatile in cut, color, graphic and pattern. The brand is typically targeted at Gen Z and millennial customers. I actually think their clothing is pretty cool! Happy Holidays! Stay tuned! More gift suggestions this week! Self Disclosure: I received free samples to facilitate this post. Images were also provided. I only feature products that I recommend. No other compensation was received to post. In recent times we have been tenants in several self-storage units because from time to time we need extra space. Keeping the things off the floor is pretty much important. It may sound ridiculous, but before renting the storage unit, there is virtually no way to guarantee that the melting snow will not come under the doorway or the surrounding unit will not have a leak that makes its way into the antique couch. Each time you use storage space, you wrap what you can easily in an industrial plastic material wrap. This way, items are covered up tight, and it will not collect airborne dirt and dust or creepy crawlies while it is doing time. Visit some vendors online for buying large rolls. On the other hand, if you are asking yourself that what others most reputable with fine settings storage units near me, then google can help you find some. Despite the fact that the majority of units have safety and security in them, that does not mean they will always be focusing. Get an all-weather pad locking mechanism that features a short arm to make sure a bolt cutter cannot easily be sliced open! While you know precisely what you are putting in the storage space when you open it, that does not mean that in six months when you need them for use, you will not be searching for ages and opening hit-or-miss boxes until you find what you are after. Label every little thing. 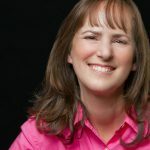 The invisible, the obvious, and you can actually go as far as to make a list that is placed inside the door which tells you exactly where a thing might be (back left area under the table or digital cameras to sell on Amazon). Despite the fact that this may not be a problem in some areas, there are some things that can’t stand the cold or the high temperature and should be either double covered or well protected or not stored in any way. 6. Winter Season? Carry Sand! 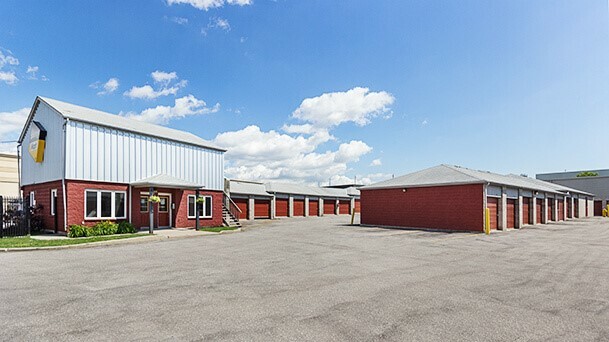 The majority of outdoor self-storage units are constructed in a way that rainwater drains away from doorways and to one convenient location, theoretically. In many cases ultimately large ice may form outside the entrance, making it nearly impossible to get to the items without jeopardizing limb and arm. Get sand, cat litter or extra sheets of particle board to access or unload your items.